Need to use your computer urgently but what if you have forgotten your Windows administrator password and can’t log in? Or bought a laptop but didn’t remember to ask the seller Windows password? No worries if you’re going through this situations as I am going to share with you a powerful Windows password resetter that will reset your lost administrator password with ease. Reset Windows Password is a easy-to-use tool that lets you to reset and unlock lost Windows 8/7/Vista/XP administrator passwords on your computer whatever the brand is. It’s a bootable utility that can run from either CD or USB drive. How to Reset Lost Administrator Password with Windows Password Resetter? Firstly, you need to create a Windows password resetter boot CD/USB drive on an alternate PC. Download the ZIP archive of Reset Windows Password utility. Unzip the download file and you’ll find the ResetWindowsPwd.iso file which needs to be burned onto a CD or USB drive. 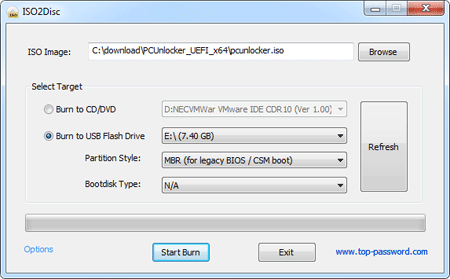 Here I will use a USB flash drive and burn the ISO image to it using ISO2Disc program. Boot your locked PC from the Windows password resetter USB drive that you’ve created above. 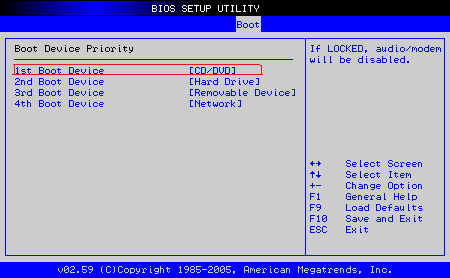 To have your computer to boot from USB drive, you may need to change the boot order in BIOS and set Removable Drive as the first boot device. Once successfully booting from the USB drive, the computer will load the Windows PE operating system from your Windows password resetter disk and eventually start the Reset Windows Password program. From the main screen of Reset Windows Password program, you’ll see the Windows SAM registry file and local user accounts which are detected on your computer. Choose your administrator account and click on “Reset Password” button. The program will not only reset the lost administrator password instantly, but also unlock the administrator account if it is locked out, disabled or expired. Restart the computer and remove the Windows password resetter USB drive. Now you can log back into your Windows administrator account without a password. Done! Ever had trouble logging into a computer with an unknown password? Or you just want full access to that public PC that is in your library? If so, then this is the stuff you are looking for. With Windows password resetter CD/USB drive you can reset lost administrator password quickly and easily! It works on both 32-bit and 64-bit Windows operating systems. Lost or Forgot the administrator password on your Windows PC? There are tons of password cracking tips and tricks available on the internet which can help you recover or reset a lost admin password, but most of them involve in many complex steps and often it’s hard to get them to work if the security holes in your system are already blocked. 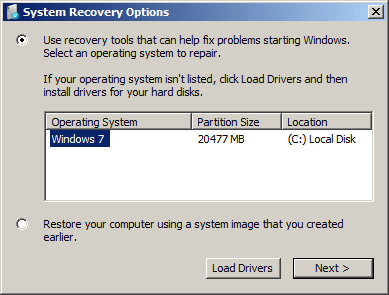 Thankfully, you can easily fix a lost administrator password using Windows 7 or Vista system restore. Just restore Windows to a point that includes an old password you can remember. This will definitely save you a lot of trouble and may also save your data and user settings. For this to work, you only need a System Repair Disc or the original Windows installation DVD. If you don’t have a System Repair Disc, you can create one easily by following this guide: Create a Windows System Repair Disc for Emergency Use. 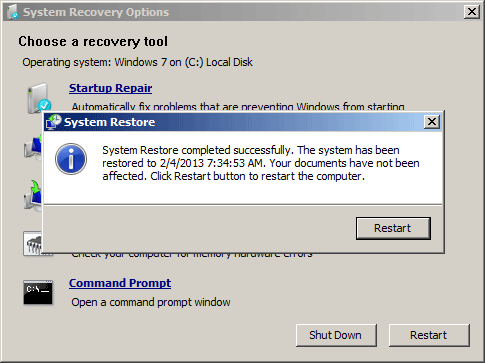 How to Fix a Lost Administrator Password Using Windows 7 or Vista System Restore? When the system boots from the DVD, follow along with the prompts as you normally would. When you get to the Install Windows screen, click the Repair Your Computer link. After searching the Windows installations on your hard drive, you’ll then be prompted to select the operating system to repair. Just select your desired operating system and click Next. 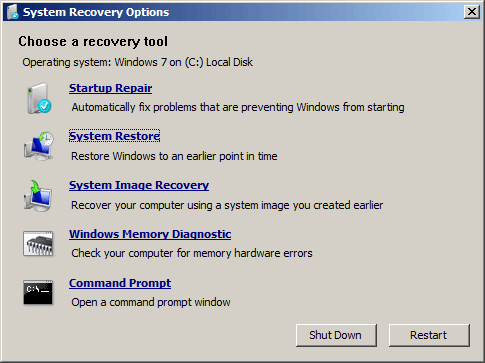 The System Recovery Options dialog box will open up and offer different recovery options to help you troubleshoot computer problems. 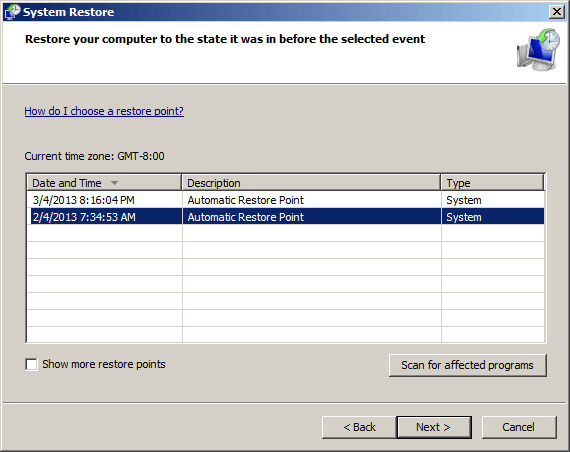 Here we need to click System Restore to load the System Restore wizard. When you see the first window of the System Restore wizard, click Next. At this screen you’ll be prompted to select the restore point that you want to use. Click Next. Finally, you’ll be prompted to confirm your restore point and if everything looks right, click Finish. Click Yes to the warning message that comes up making sure you want to restore the computer to the selected restore point. The restore process will begin. It may take a while to complete, so sit back and be patient. 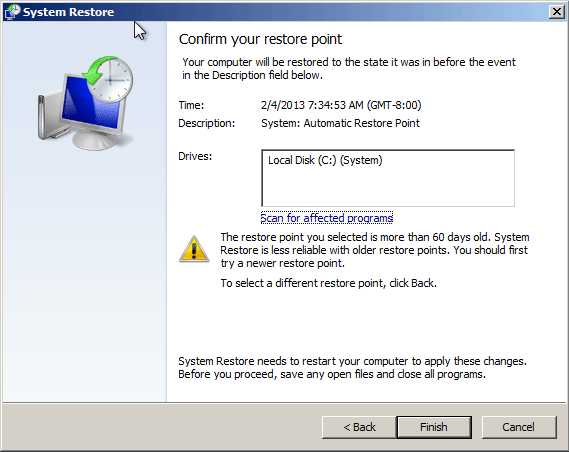 Once the restore operation is complete, you’ll be prompted to restart your system. Remove the DVD and restart the computer. You can then log in to your machine with an old password which you used before. Done! 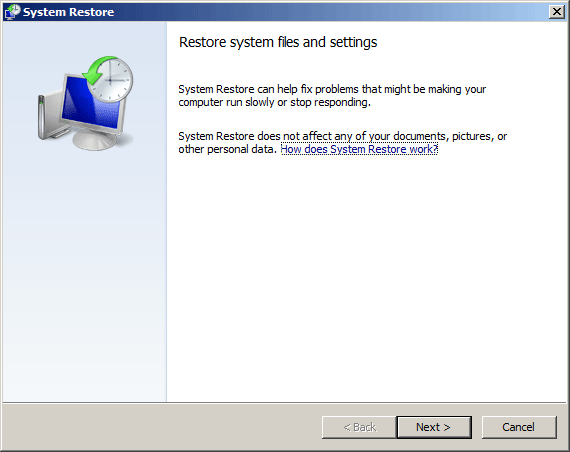 Windows 7 or Vista system restore will make sure that you don’t lose any documents or files. 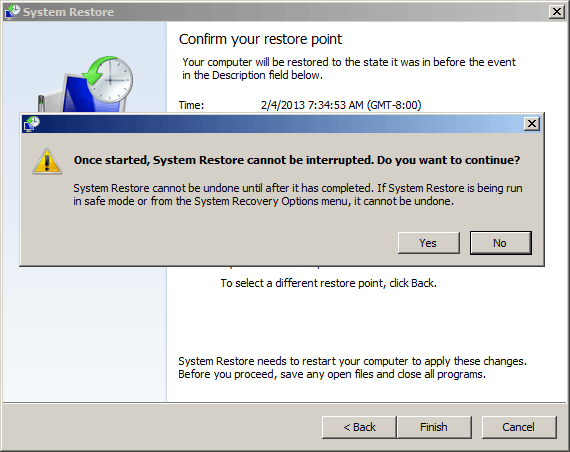 However, any programs or updates that have been installed since the corresponding restore point have to be installed again. This approach works perfectly with Windows 8, 7 and Vista. But it doesn’t work with Windows XP. If you can’t even do a system restore or can’t afford to lose any software recently installed on your computer, I would highly recommend you using some commercial software to unlock your forgotten password, such as Reset Windows Password utility. I forgot my new password to my only account on my new Windows 7 laptop. Luckily, the laptop has a fingerprint reader, and I am able to log in that way. Is there a way to manually reset it without losing all my data or doing too much work? Thanks. Most modern laptops are equipped with a biometric fingerprint scanner, which you can use to log in to your Windows machine in the place of a password. But if you login with fingerprint all the time, there is a great possibility that you will probably forget the administrator password. In this tutorial we’ll show you 2 options to reset forgotten Windows administrator password when you are in such a situation. If you can still log in to Windows with fingerprint and the fingerprint logon is associated with a administrative account, you can open Control Panel -> User Accounts, and pick the administrator user account to change/remove its password. But for some security reasons you may be prompted to enter the current administrator password to proceed. In this case, you can try another alternative trick: create a new user account with admin privileges in Control Panel, and then log out of the computer. After logging in using the new user account, you can head over to the Control Panel and reset your forgotten administrator password easily. First, you will need to download and install Password Recovery Bundle on any PC that you can access. This can be your work PC, or a friend or family member’s PC. Launch Password Recovery Bundle and click on Windows Password button, the pop-up dialog allows you to create a bootable password reset CD/USB. Next, insert the password reset CD/USB into your locked computer and boot the computer from it. If you don’t know how to set your computer to boot from CD or USB drive, please check out this guide: How to Boot A Computer from CD or USB Drive. The computer will load the mini operating system inside the password reset disc and open up the Reset Windows Password window as follow. Choose the administrator account and then click on Reset Password button. The program will remove your forgotten administrator password immediately. Restart the computer and remove the password reset CD/USB, you should then be able to log in to your Windows administrator account with a blank password. The method works on Windows 8, 7, Vista and XP. I have a Windows 7 virtual machine running in VMware Player and I have forgotten the administrator password. How can I recover or reset the password? Forgot the administrator password for a VMware guest operating system? How to hack into a VMware Fusion image whose admin password is not known? In this tutorial we’ll show you an easy way to reset forgotten administrator password for your Windows virtual machine running in VMware. How to Reset Forgotten Admin Password for Any Windows Virtual Machine in VMware? First, try to download the Reset Windows Password utility. After the download is complete, unzip the download file and you’ll get a bootable CD image file called ResetWindowsPwd.iso. To mount the ISO image file in VMware Workstation or Server, go to your existing Virtual Machine. Double-click on the CD-ROM drive. By default, you are probably using the physical drive. To change that and use a disk image, click on Use ISO Image and choose the ResetWindowsPwd.iso file. At this point the ISO is ready for use by the virtual machine. Power on the virtual machine. At the VMware BIOS screen, press the ESC key to bring up the boot menu. Select to boot from CD-ROM. It will load the mini operating system and next launch the Reset Windows Password program inside the ISO image. The program automatically search and display all local user accounts on your virtual machine. Choose the administrator account and then click on Reset Password button, it will remove your forgotten administrator password instantly. In case the administrator account is locked out or disabled, the program will also unlock/enable the account in background. Now re-configure your virtual machine to boot from virtual hard drive, you’ll be able to log in to the administrator account without being asked to enter a password. 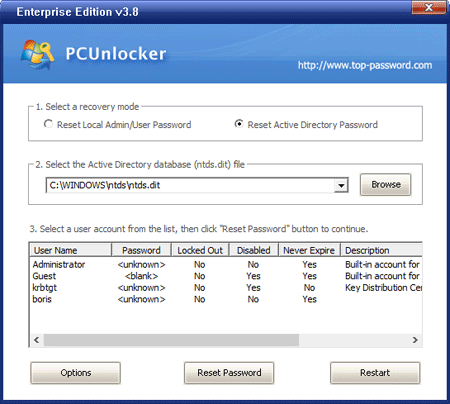 Reset Windows Password utility could be used to reset forgotten administrator passwords of Windows 8, 7, Vista and XP. It works for both physical machines as well as virtual VMware images. Forgot Administrator Password on Windows 7? entered accidentally and don’t know it. Data from old machine is transfered so I do not want to do a complete reinstall of operating system or i will loose data HELP!!!!!!!!!! There are times we forgot the administrator password on Windows 7. If the administrator account is the only user with administrative privileges on your computer, you then can’t install any new software or even can’t log on your computer anymore. So it’s important to find out a password recovery tool to recover or reset the password in order to regain access to the locked computer. Download the zip archive of Reset Windows Password utility. Unzip it and burn the ISO image to a blank CD or USB stick. Insert the CD or USB stick into your locked computer and let your computer boot from it. After a while the bootdisk will launch the Reset Windows Password utility, which shows all Windows user accounts available for your Windows installation. By default the Reset Local Admin/User Password option will be selected, the program will display a list of Windows local user accounts. If you want to reset domain administrator password, please choose the Reset Active Directory Password option.Here we’re going to reset forgotten Windows 7 password, so we choose the first option. Choose the administrator account, then click Reset Password button. The program will quickly reset your forgotten administrator password as well as unlock the user account if it is disabled or locked out. 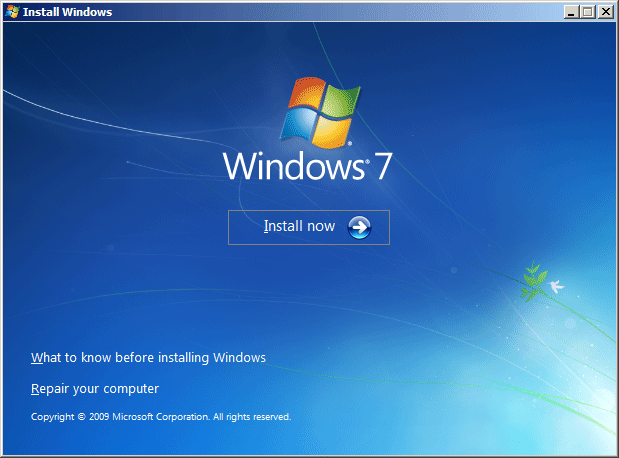 Now remove the CD or USB stick and restart Windows 7 system. You can then immediately log in to the administrator account without being asked for a password. No need to worry about data loss if you forgot Windows 7 password next time. Hello, how to reset the administrator password that has been forgot? I cannot log in Windows and my administrator account is disabled. How can I change the my Windows 7 password? I will be thankful that if you give me the idea. As it’s well known to us, the administrator is the built-in administrative account which has unrestricted access to everything on the computer. So if you have forgotten the administrator password, it’s a daunting task for you to reset the administrator password, especially when it’s the only user with administrative rights. How can you get out of this situation without formatting and re-installing the operating system? One method of gaining access to the system is to remove the administrator password using a password reset disk. What’s the most important is that we must create the Windows password reset disk before we forgot administrator password. However I don’t think this approach will help you, otherwise you wouldn’t be sitting here reading article, would you? Another method is to recover administrator password using Ophcrack LiveCD. Ophcrack is an open source (GPL licensed) program that cracks Windows passwords by using LM hashes through rainbow tables. The program includes the ability to import the hashes from a variety of formats, including dumping directly from the SAM files of Windows. It is claimed that these tables can crack 99.9% of alphanumeric passwords of up to 14 characters in usually a few minutes. If you’re not ‘techie’ or are short on time, we always recommends the third method below. A third method is to use Password Recovery Bundle, one of the most popular Windows password recovery software, which will enable you to reset lost Windows password and logon with a blank password. Download and install the software on an accessible computer, it enables you to create a password reset bootdisk. Boot your locked Windows 7/Vista/XP/2008/2003 system from the bootdisk and it enables you to reset / unlock your lost administrator password easily and instantly. Additionally Password Recovery Bundle can also be used to reset domain administrator password on Windows Server 2008/2003/2000. There are several options for you to regain access to Windows 7/Vista/XP/2008/2003 if you forgot administrator password. With these methods you should be able to reset Windows administrator password and log on your computer successfully. I have install first time Active Directory on my server 2003 and set the password within installation. And after this I forget password. Now I cannot logon even server 2003. Is there any possibility to logon my server and Active Directory or I need format & do installation again.If there is any way to out over this problem, tell me how to do this? Forgot Active Directory password? The network administrator left without leaving the server password? The problem may become quite tricky if there are a lot of domain accounts in it. You may couldn’t simply choose to reinstall Active Directory as there are many factors you need to consider. Fortunately there is an easy-to-use Windows password recovery software that can give you a hand. With Reset Windows Password utility, you can easily and quickly reset forgotten Active Directory password in minutes. Click here to download and save the Reset Windows Password self-extracting Zip file to a folder on your hard drive, then extract the ISO image file: ResetWindowsPwd.iso from it. Then you will see Reset Windows Password is initializing. Simply select the Active Directory database file (ntds.dit), the program will list all domain accounts for your domain controller. Select a user account and click the Reset button, the password will be changed to Password123. In addition, Reset Windows Password also enables you to reset Windows local administrator and user password on Windows 8, 7, 2008, Vista, 2003, XP, 2000.